Our Subaru dealership serves satisfied customers across Alberta, including Calgary, Edmonton and Red Deer. 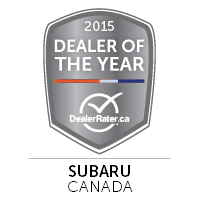 We are dedicated to our customers and they know it, awarding us the DealerRater top customer-rated Subaru dealership in Canada and Alberta for three years running. 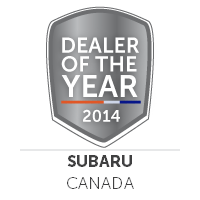 Shopping for a used Subaru or new Subaru in the Calgary, Edmonton, or Red Deer areas? Take a look at our online inventories to start your search. Have a Subaru model in mind already? Come in and go for a test drive. Looking for a used car? Our staff will help you find a reliable and quality pre-owned vehicle that meets your every need. If it's service you need, our Subaru Service Center is staffed by expert technicians that can accommodate minor maintenance fixes to hefty collision repair. We also have competitive prices on authentic Subaru parts and accessories. 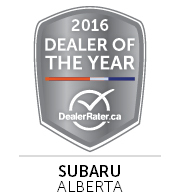 Give us a call at 1-888-848-1799 or visit our lot where we are eagerly waiting to give you an awesome Subaru of Lethbridge experience.